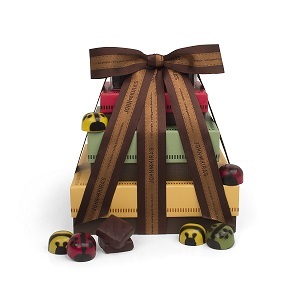 The perfect gift for the caramel and chocolate lover and guaranteed to please the palate just as much as the eye! 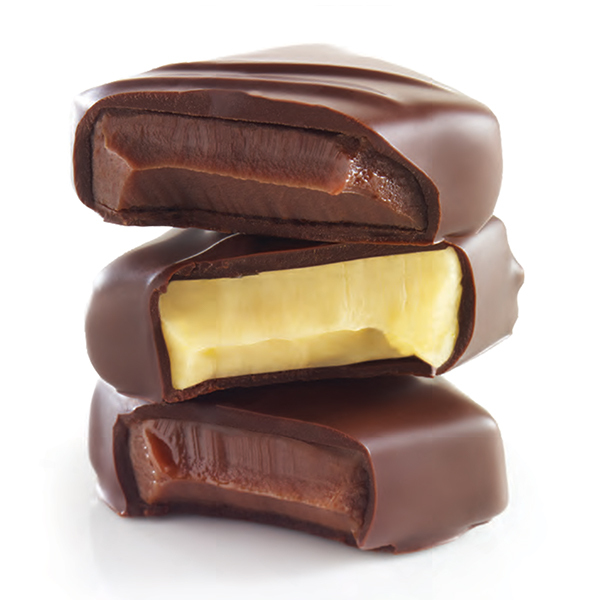 Not chewy like a store bought caramel, our Chocolate Honey Caramel Bees have a liquid caramel center and a clear, caramelized honey taste. 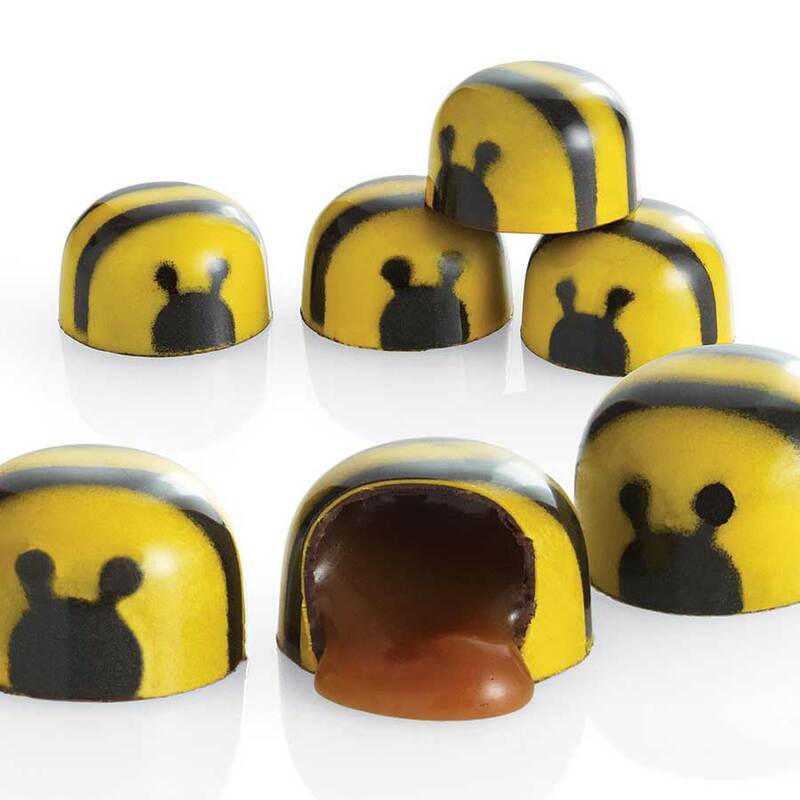 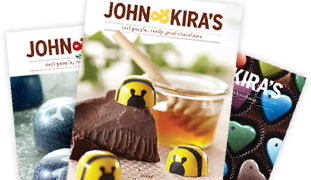 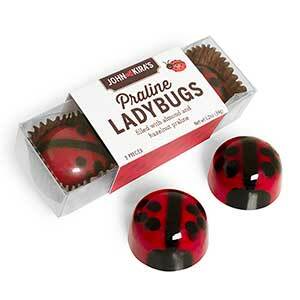 This unique flavor comes naturally from the fragrant honey we use, supplied by the Draper Family Apiaries in Millerton, PA. Our 6 piece Every Flavor Collection and our 9 piece Ladybug Medley are filled with flavored chocolate ganache (including mint, lavender honey, and raspberry flavors), while the 3 piece Praline Ladybugs enclose a creamy Hazelnut & Almond Praline filling. 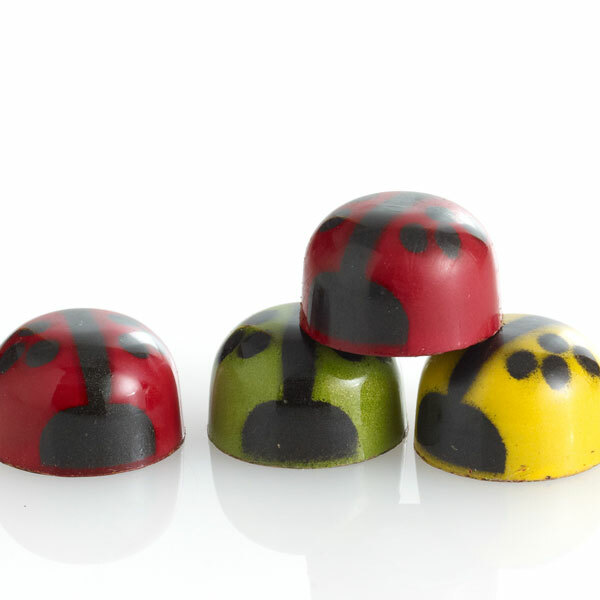 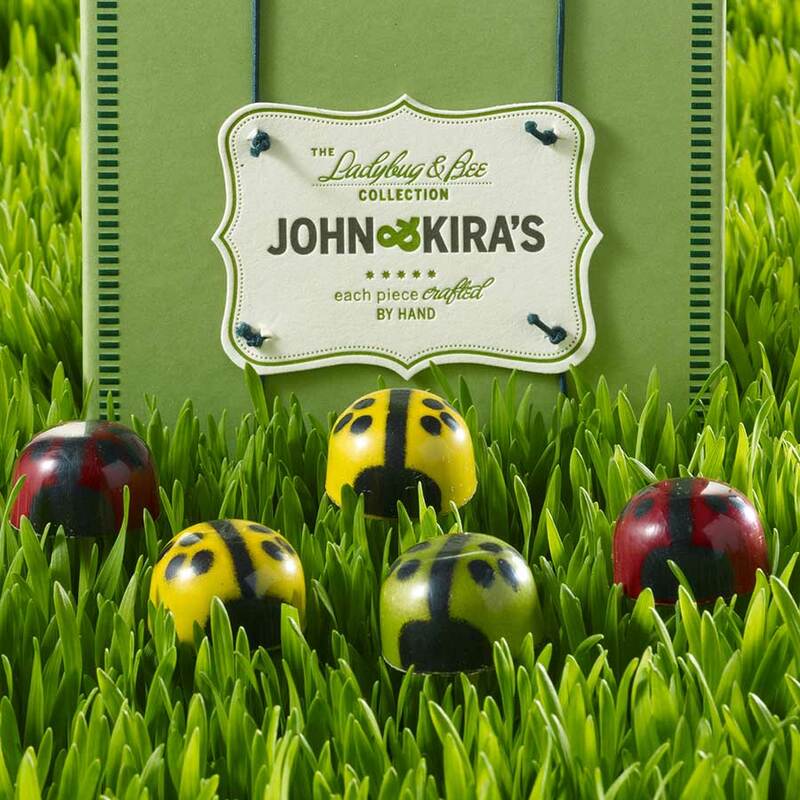 Once filled, each of the bees and ladybugs is carefully painted by hand with a paper-thin layer of colored cocoa butter. Contains: milk, gluten, tree nuts, and soy.